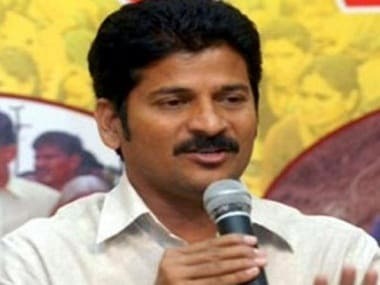 Telangana Congress working president A Revanth Reddy was released on Tuesday evening after being taken into preventive custody earlier in the day. 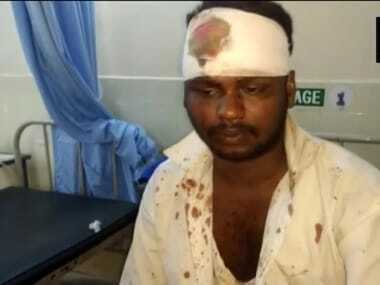 He was taken into preventive custody after threatening to obstruct Chief Minister K Chandrasekhar Rao's (KCR) public meeting in the Kodangal Assembly constituency. He was released after KCR's rally ended. Moreover, a Hyderabad court has asked the Telangana Police to explain the grounds on which Revanth was taken into custody from his house in Kodangal town of Vikarabad district, reported CNN-News18. The police had also registered two cases against the Congress leader. Revanth, the Congress candidate for Kodangal constituency, had called a protest rally and a bandh against KCR's scheduled meeting at Kosigi on Tuesday evening. "He has been taken into preventive custody in view of apprehension of disturbance of public order and breach of security," Additional Director General of Police (Law and Order) Jitender told PTI. "He will be released (later) during the day." Revanth, who quit the Telugu Desam Party (TDP) to join the Congress earlier in 2018, represented Kodangal in the dissolved Telangana Assembly. Revanth's wife, Geeta accused the police of breaking open the doors of their house and forcibly taking away her husband to an "unknown location". Many of his followers were also taken into custody from different locations. In September, too, the Income Tax Department had conducted searches at Revanth's homes. On Saturday night, the police had carried out raids at the Congress leader's homes, after which he had given a call for a protest. Prohibitory orders have been imposed in Kodangal to prevent any untoward incidents in view of KCR's election rally. Earlier, some leaders of the Telangana Rashtra Samithi (TRS) had lodged a complaint with Telangana Chief Electoral Officer Rajat Kumar, alleging that Revanth was threatening to disturb KCR's campaign. Instructions were then issued to the police to ensure smooth conduct of the meeting. The Election Commission had also issued a notice to Revanth for his threat. 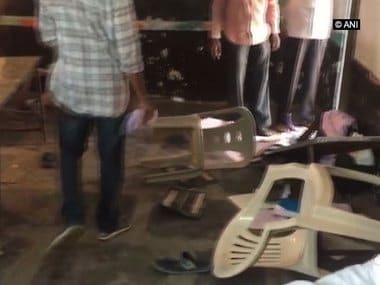 Meanwhile, Telangana Congress chief Uttam Kumar Reddy condemned the police action and alleged that the election officials and police were behaving in a "partial manner". 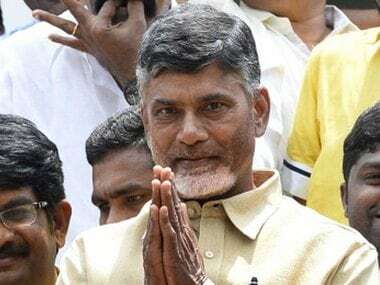 He also sought to know the status of the complaint made to the Election Commission against TRS candidate of the Kondal segment, Narender Reddy, with regard to alleged recovery of cash from him last week. Moreover, Chevella MP Konda Vishweshwar Reddy, who recently quit the TRS and joined the Congress, called the preventive arrest a "murder of democracy", adding that it exposes the panic in the TRS ahead of the 7 December Assembly polls. "People will not tolerate such autocratic behaviour and will give a fitting reply by voting against the ruling party," he said. Congress spokesperson Manish Tewari has demanded that the Election Commission "dismiss those responsible" for Revanth's arrest. He shared Karnataka minister DK Shivakumar's tweet condemning Revanth's detention and said that he would take up the matter at a press conference later in the day. "I was informed about the detention by Reddy's wife. The police forced themselves in. They broke open the door. The TRS can't use police as a political tool. This is not the way to deal with a political opponent," Shivakumar said. KCR is losing his sleep with the growing popularity of the Prajakutami.Police arrested our Working President & MLA Revanth Reddy at 3am as KCR is holding a rally there. 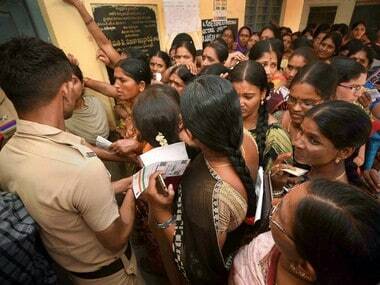 The Telangana Congress said: "This is highly condemnable. The Election Commission must take necessary action and ensure the conduct of a free and fair election." Congress leader GN Reddy said: "KCR is misusing the police. The manner in which police entered his (Reddy's) bedroom has never happened in India. Reddy is not an ordinary man. He is a Brahmos missile who is going to finish TRS." Another Congress leader Nadeem Javed tweeted: "Telangana’s dictatorial regime under KCR does not believe that free and fair elections are the essence of democracy. Haryana MP Deepender S Hooda also expressed shock over Revanth's arrest. "Telangana Pradesh Congress Committee working president and Kodangal candidate Revanth Reddy's condemnable arrest is a black spot on governance. EC should intervene to stop this tyranny." All India Congress Committee (AICC) spokesperson S Jaipal Reddy said as a caretaker chief minister, KCR was "showing more authority than a regular chief minister". "Although he is only a caretaker chief minister, he is performing duties as though it (state) is under Emergency,"
AICC Telangana in-charge RC Khuntia claimed KCR was afraid of Congress leaders and was foisting false cases against them. "He (Rao) is creating an Emergency-like situation in the state. We are going to file a case with the Election Commission on the incident," he said.